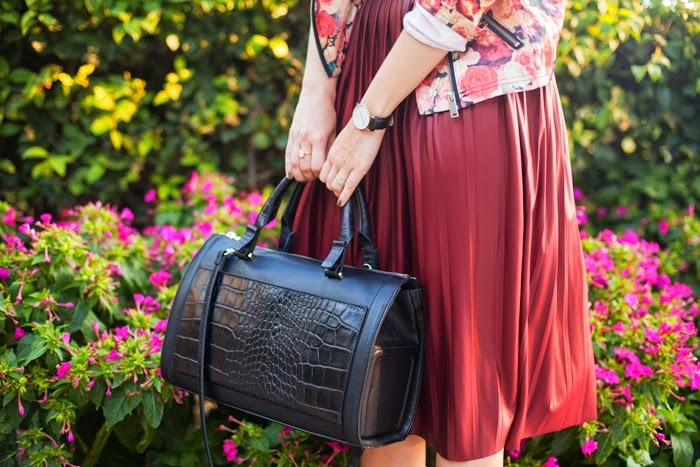 ENG: First preparation for fall, wearing my favorite burgundy leather-look skirt. I guess with roses print jacket they look so ideally. Black accessories are enough, doesn't need to add anything else. RU: Первые приготовления к осени, выгуливаю любимую юбку цвета бордо. Мне кажется, она идеально сочетается с этим жакетом с винными розами. Не будем перегружать образ ничем лишним, лишь немного черных базовых аксессуаров. Две броских вещи на сегодня достаточно. beautiful! love your outfits, especially the skirt and black top! Love the skirt, great color and length! This looks is just perfect for the upcoming autumn! Perfect skirt and flawless Fall outfit! You look beautiful in this romantic outfit! Your jacket is so pretty and that bag looks so vintage, can't believe it's from Zara. fabulous outfit and a fantastic figure...love the way that cropped top (matched with that skirt) puts your tiny waist into focus! 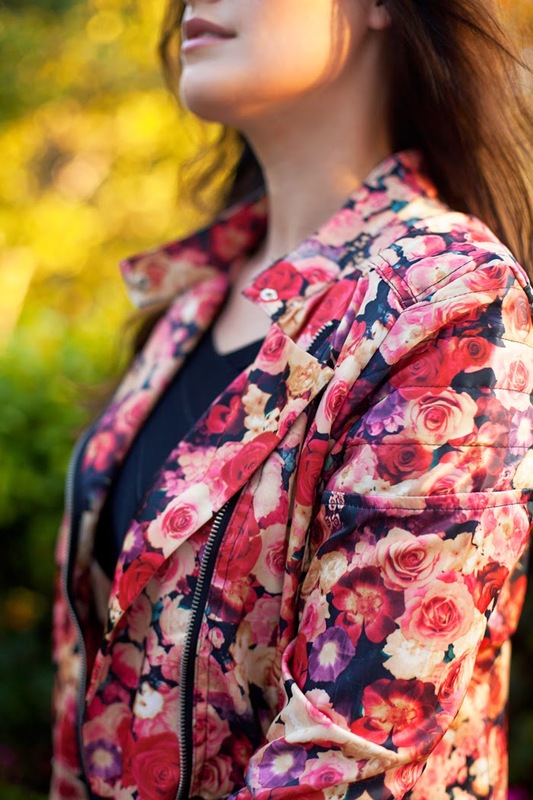 lovely jacket...you really cannot do without floral print! Lovely this look and colors, pretty. Wow, this looks amazing, in love with the skirt and jacket! Жакетик замечательный! Ты, как и всегда , прекрасна! Часики крутые! Удачного дня! Целую! I love your Jacket and your skirt. This is again such an amazing outfit! You are so beautiful. Gorgeous outfit! I love the jacket! You look absolutely stunning darling, burgundy really looks like the perfect tone for you! Really nice article, feeling amazed! keep share..!